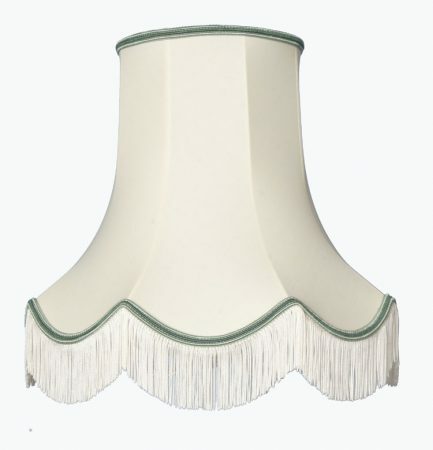 Cream and apple green lampshade handmade in the UK. A traditionally styled clip on scallop design made with a cream fringe and apple green braid trim. Please see additional image for colour braid options. Base diameter, 15cm, top diameter, 8cm. Height 18cm including the fringe.